Do me a favor? Close your eyes and envision paradise. Chances are your imagination is painting a picture that closely resembles the San Blas Islands of Panama…White sand and blue water beaches…Clusters of towering coconut trees…Thatched roof huts… Hammocks…Peace…And quiet. These 365 tiny island dotting the Caribbean Sea are the epitome of isolation and as off-the-grid as you can get. Which means getting there requires a little bit of effort. Even after weeks of extensive research and endless grill sessions with several people who had been there before, I still wasn’t fully prepared for this adventure. 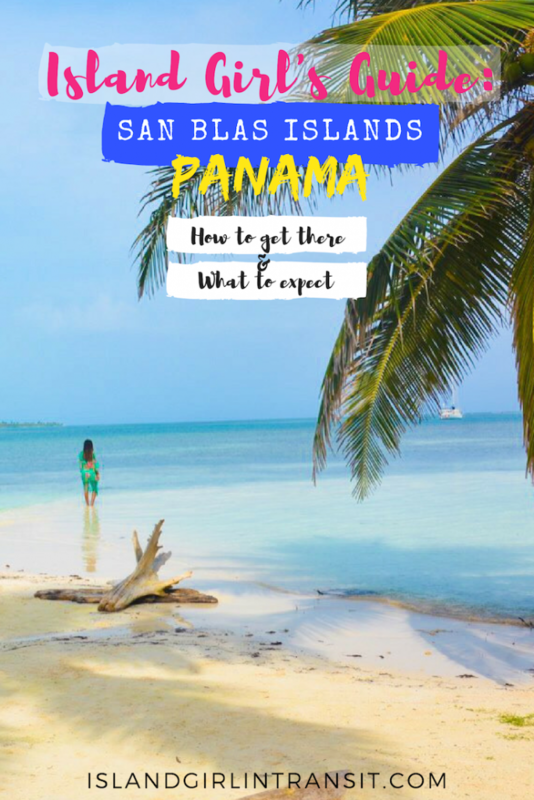 As such, I’ve put together a simple guide to the San Blas islands that will assist you in planning your own trip to this remote corner of the world. 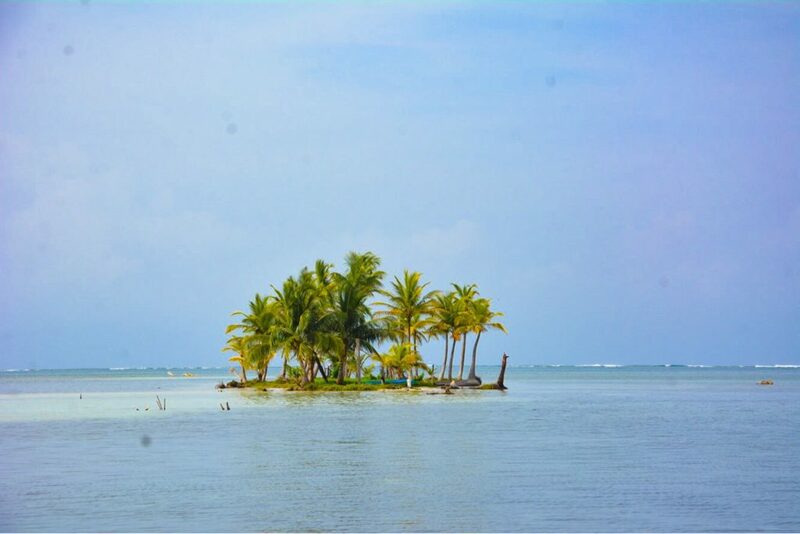 The San Blas archipelago is a destination within a destination, operated exclusively by the indigenous Kuna tribe. The Kuna are wholly and solely responsible for tourism in their region and all San Blas tour companies are 100% owned by them. 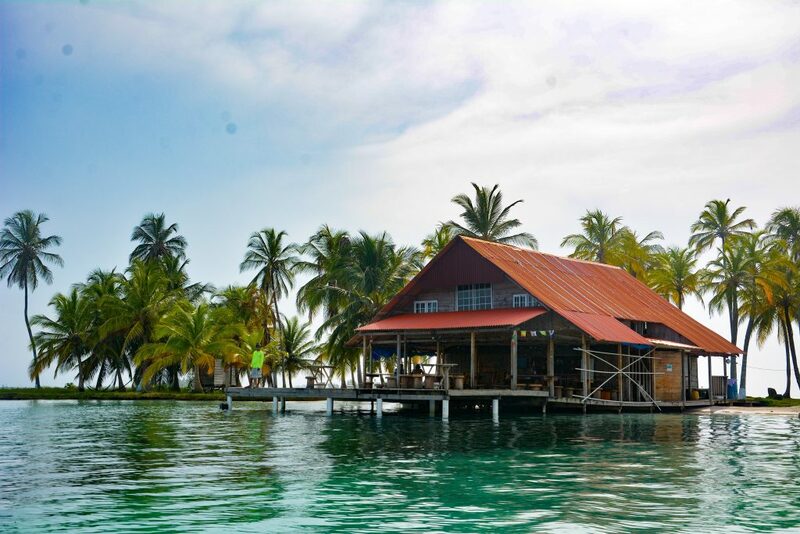 Before booking your trip you’ll need to decide if you wish to experience San Blas by boat or on land. There are many catamaran and yacht tours available that will take you to the islands for a minimum 3-night stay onboard. For land-lovers, or those with less time on their hands, the option exists to overnight in rustic, beachfront accommodations. 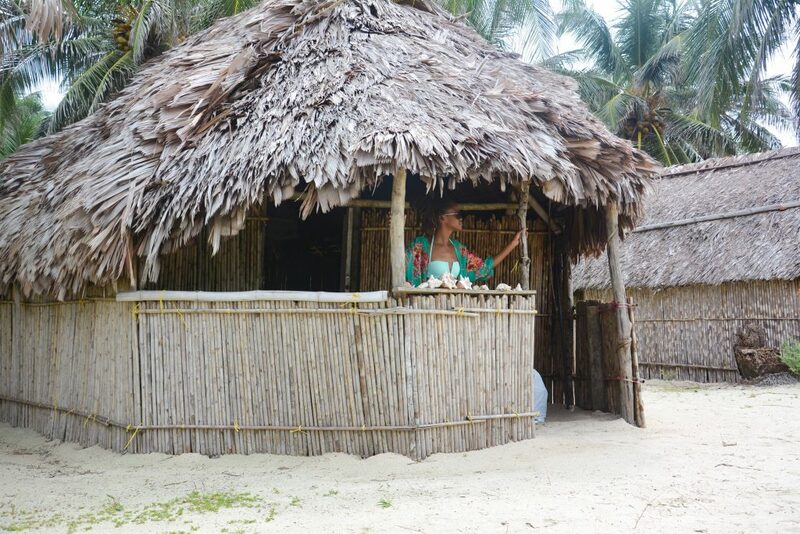 I opted for the one-night stay on Chichime Island with San Blas Dreams. Making the reservation was a quick and easy online process. 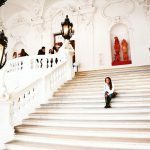 As with all experiences, cost varies depending on how long you stay and what you intend to do while you’re there. An overnight stay on Chichime with San Blas Dreams costs $142 USD. The journey to San Blas is long, arduous even, but I promise you it is well worth it. All tour operators pick up their guests between 5:00 and 6:00 am from their respective hotels and hostels. San Blas Dreams is no different. After they make their rounds prepare for a 5 hour drive with one brief stop at a grocery store for guests to purchase supplies. After the lengthy car ride you arrive at a riverbank where you wait to be assigned a boat. The process appears a bit chaotic but somehow your boat captain will know he’s responsible for you and usher you to the boat that will take you to the correct island. Our boat stopped once to get gas and another time for the captain to get produce from the local ‘market’. In total it took just over 40 minutes before we pulled up to the jetty on Chichime Island. 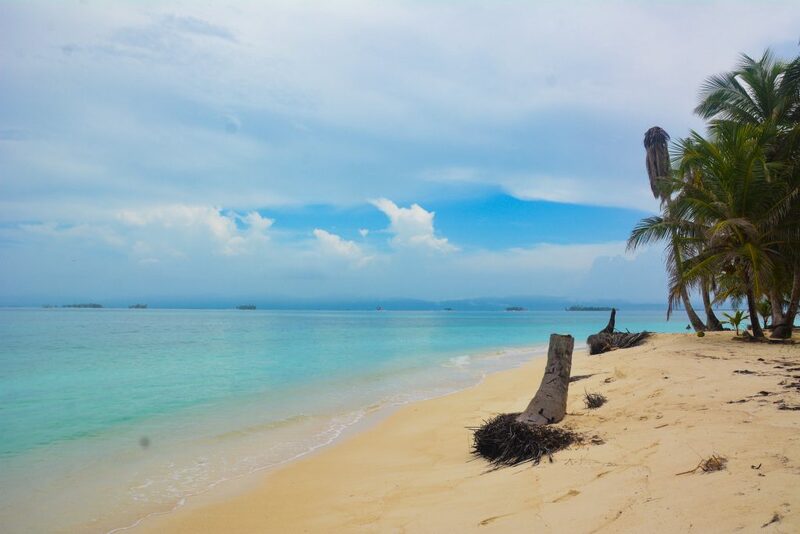 The San Blas Islands feature idyllic, filter-free visuals of you automatically associate with luxury resorts. Here however, you have the unique pleasure of literally going back to basics with only the bare-bone necessities. The thatched roof huts have floors of sand and walls of sticks. There are no windows. Roughly crafted bed frames house worn mattresses dressed with bed sheets that have been slept on and washed many times. A sole light bulb and electrical outlet (only powered on at night) are the closest things to luxury you’ll experience. However, the door – a thin sheet of plywood hanging loosely on mismatched hinges – opens out to a small enclosed area that serves as a sandy front porch the with a gorgeous ocean view that more than compensates for the lack of amenities. NB: Don’t be surprised to see crabs popping out of their holes and scampering across the floor of your hut in the middle of the night. The toilets and showers are housed in a crude structure at least 20 yards behind the huts. They are communal. As in, they’re shared among the guests, as well as the Kuna families on the island. I’m very finicky about bathroom facilities so I’ll be frank – I dreaded having to use them. They were not “filthy” but they weren’t exactly at my comfort level. The narrow stalls lacked proper ventilation so the smell was a bit unbearable. Because it’s directly on the beach, the floor was always wet and sandy. And, the fixtures used were old and not very neatly installed so it had a very rough finish that didn’t sit well with me. Overall, it was an uncomfortable experience every time I had to use it. NB: The bathroom was the main reason we left the next morning instead of the afternoon as we had intended. I have every intention of returning to San Blas, but my next trip will definitely be on a catamaran. Once you’re settled in and fed, you’ll take a 3-stop tour. Don’t expect elaborate explanations or descriptions of the various sites and if you don’t speak Spanish don’t expect much communication at all. 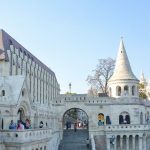 Which is perfectly fine because you’ll be blown away by the incredible, insane beauty of each of these locations. Very much like the Nylon Pool in Tobago, the Natural Pool of the San Blas Islands is a shallow area in the middle of the ocean created by a large sandbank on the sea floor. The water is clear and bright blue for as far as your eyes can see and you’ll most likely encounter other boats and visitors chilling here. A dot of an island, Fragata is a perfect stop for souvenir shopping as it featured the largest craft shop of all the islands we visited. 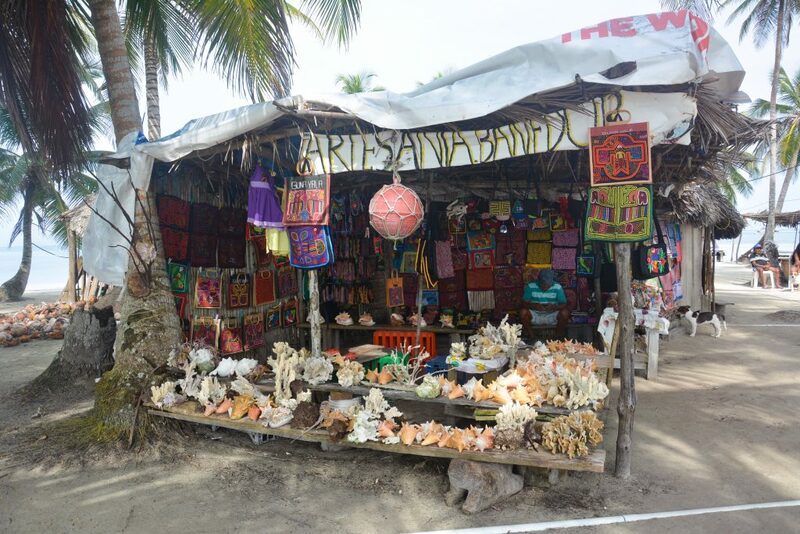 Conch shells, brightly colored Kuna fabric panels, handmade beaded bracelets and embroidered bags are among the items on sale. 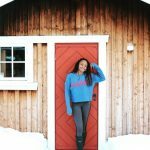 The stop is only about 15-20 mins, just enough time for a little shopping and capturing some beautiful shots for the gram. Perro Island is supposed to be a prime spot for snorkeling with a sunken ship wreck and beautiful marine life. However, I didn’t have my snorkeling gear so I can neither confirm nor refute this claim. I can commend the flawless white sand beach and express my appreciation for the picnic tables that made up for a lack of beach chair rentals. With an entire hour to kill, it served as a comfortable spot to relax until it was time to head back to Chichime before sunset. The basic overnight package includes lunch, dinner and breakfast. As simple as they were, I enjoyed both lunch (white rice, fried fish and fresh salad) and dinner (pasta with stewed chicken). Breakfast, on the other hand, was not my cup of tea. While I loved the fresh fruit, I’m not a fan of boiled eggs and the accompanying boiled potatoes didn’t go down well on their own. NB: Meals are served promptly at 12 noon, 7pm and 7 am. A bell is rung to signal chow time and all guests dine together at large picnic tables in the dining room. NB: Pack conservatively as all luggage is stored in a small compartment in the hull of a modest sized boat. Honestly, after an arduous nearly 6 hour journey by land and sea it seems ludicrous to stay on the island for just a few hours (day trips arrive around 10 am and depart at 3 pm). 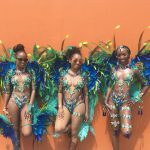 You spend more time commuting than enjoying this precious real estate and you miss the opportunity to visit other islands. Besides, one of the most amazing things about this experience was being outside on the beach in the middle of the night enveloped in complete darkness. To look up at the inky black sky and see nothing but stars was surreal. The silence was so absolute that it magnified the sounds of the waves crashing and wind blowing in a way I had never heard before! As such I strongly recommend spending at least one night in San Blas. 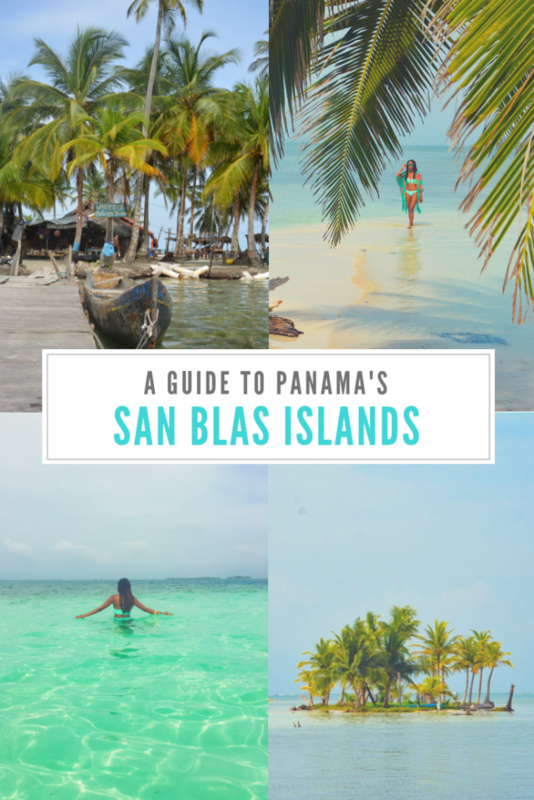 Full disclosure: The San Blas Islands are the main reason I decided to visit Panama. The beach bum in me could not resist the call of this #nofilter destination and I am so glad I answered it. While some aspects of the infrastructure weren’t ideal for my particular travel style, the ability to experience nature in such a virgin state this virgin territory is a privilege I will always cherish. 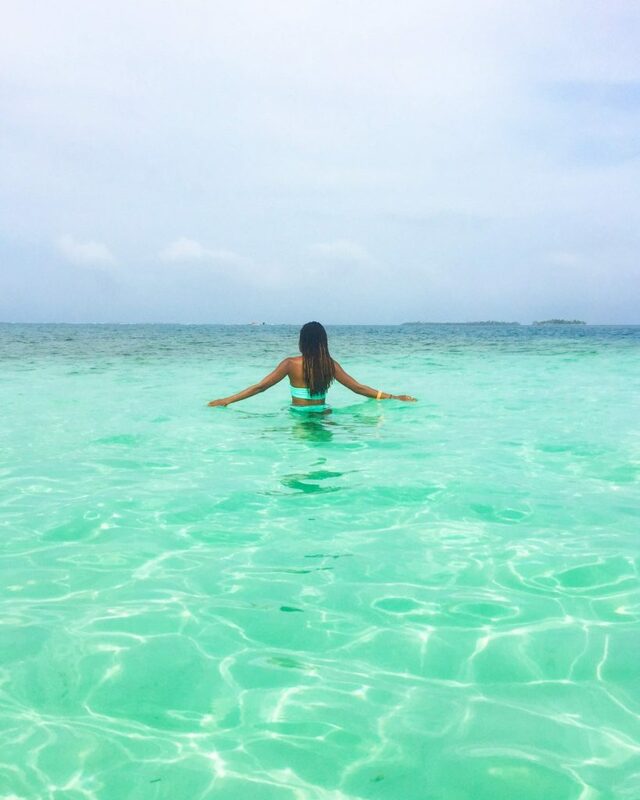 Have you ever been to San Blas? Share your thoughts on the experience in the comments! I can see myself there now when I close my eyes. It truly looks as though you have been to paradise. I think Panama might just be calling my name for the winter cold front coming to Utah. You’re welcome! It really is a one-of-a-kid experience! Yay! 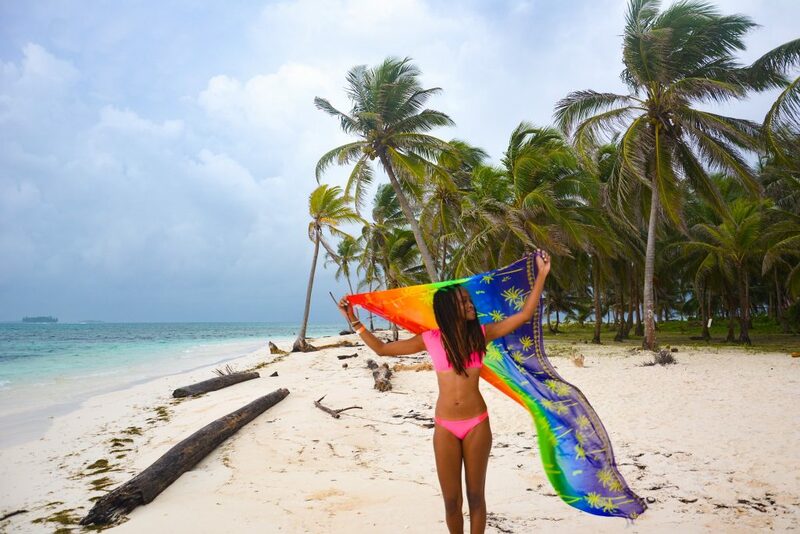 Happy to hear San Blas is on your bucket list, I hope you’re able to check it out soon! What a timely post! 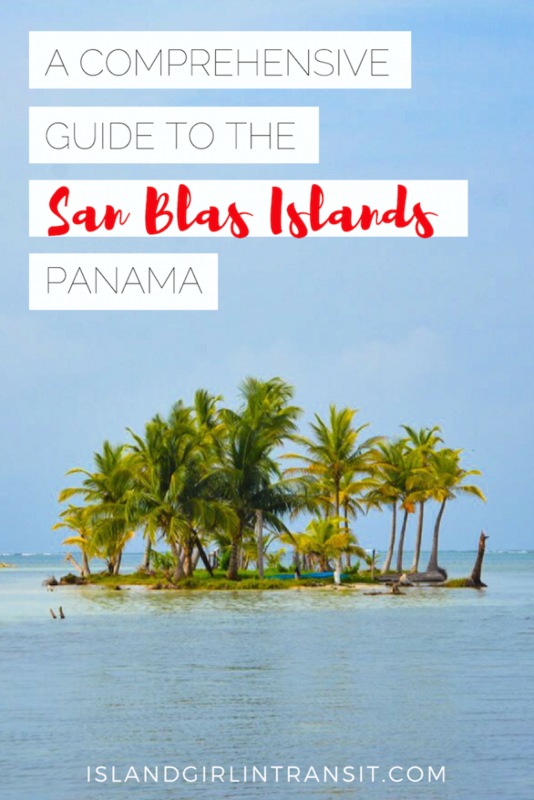 We’ve started planning our 2019 trip to Panama and I’ve gone back and forth whether to include the San Blas islands. Based on your description, a night is probably sufficient. I can get sea sick so a catamaran is not a good option for me. But I think you’ve convinced me that it’s worth at least a one night stay! Those beaches are beautiful and it sounds so romantic to watch the stars at night. I really appreciate your honesty throughout this post. San Blas looks like paradise, but as you say, it’s really a no-frills place. I have to say, I’ve never slept in a place with no windows, and thanks for the tip on the crabs on the ground lol! Still, it looks like a beautiful place, and would love to visit one day. I am not much of an island or beach person, but this totally changed my mind. 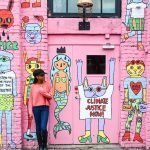 As a big advocate for supporting local economies and indigenous cultures when I travel this is totally something that I would love doing. Thanks for setting our expectations though with the style and quality of accommodation the note about the crabs haha. I personally think that ads to the experience. I’m really sad I missed this the first time I was in Panama, but hopefully, I will go back. This is a full guide with perfect advice, I really like that. I am glad you mentioned everything necessary to bring and all from meals and accomodation. This is super useful! And the pictures are just stunning, I wish I can go there. I followed your advice and closed my eyes! Now, I don’t want to wake up. (Haha!) Anyway, your post made me really miss the beach. I would love to visit San Blas someday. It looks really beautiful and natural. This is definitely my ideal vacation place. Appreciate your detailed post too. Thank you for sharing! I hope you’re able to visit some day, it is unlike anything you’ll experience anywhere else on earth!